A short post on some home decor and my dresser table. 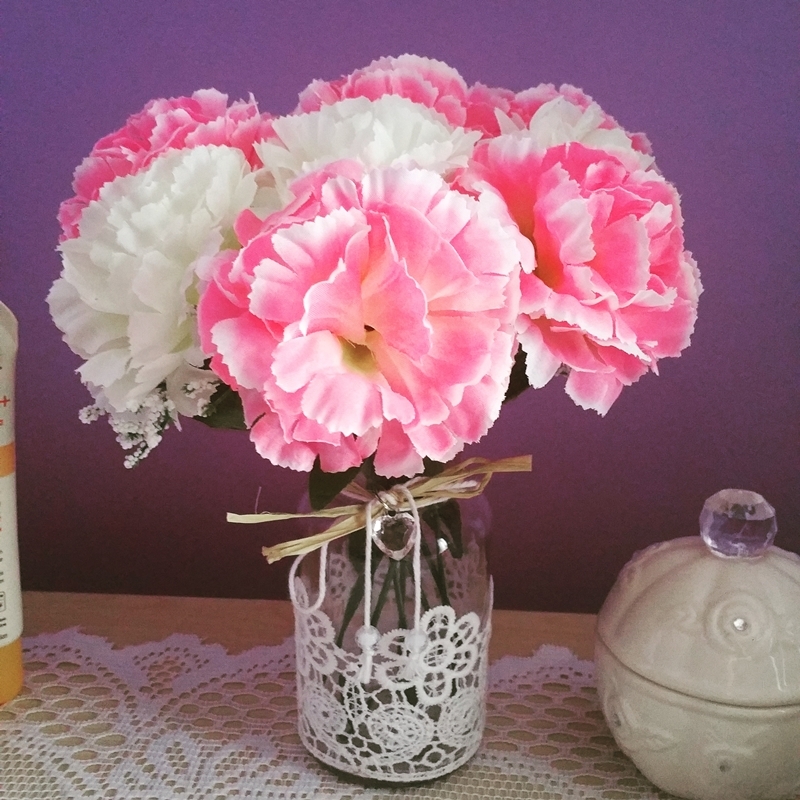 I bought a really nice and vintage style jar from the dollar store along with some pink and white flowers to add as a decoration for my dresser table. 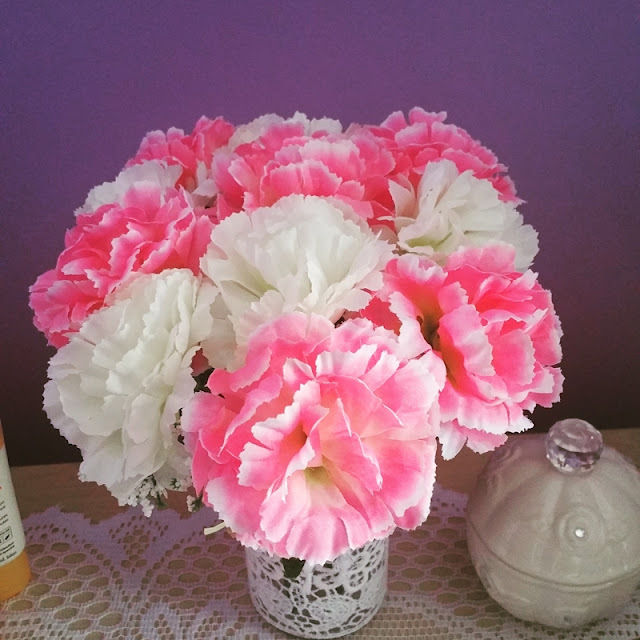 I have thought about buying real flowers (for the summer) to put on top of my dresser table but they will die fast and it would be costly for me to keep buying fresh new flowers. So I decided to get fake ones that would last me longer instead. 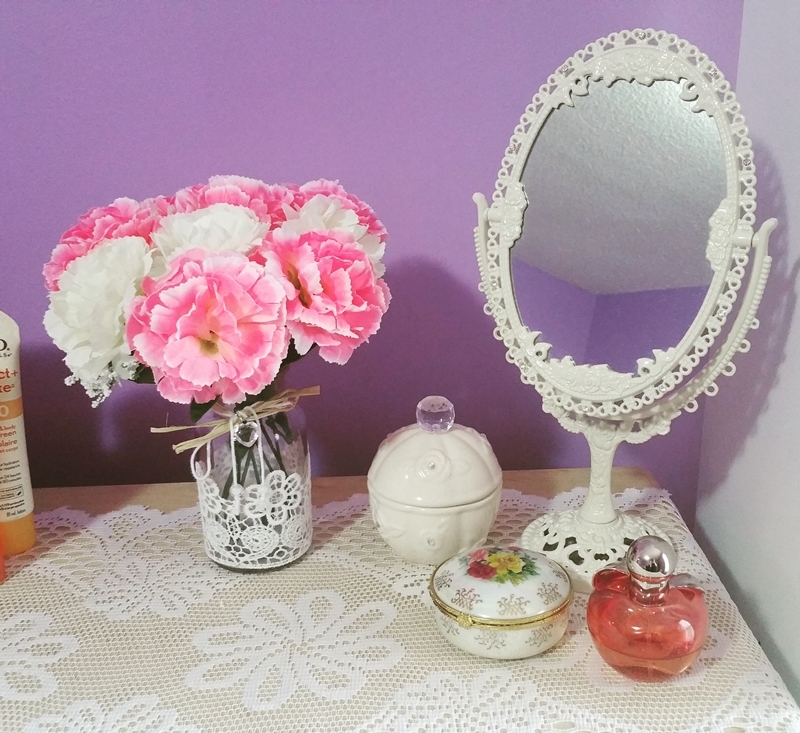 And the last picture is a collection of some home decor stuff I have bought from places I have traveled to. They're mostly things that I have bought from Japan but I hope to collect more things from all over the world as I travel to different countries.